Here you can add, edit or delete your preferred colors from your document. A right click on a color gives you 2 options: color (to edit the color) and delete (to delete it). 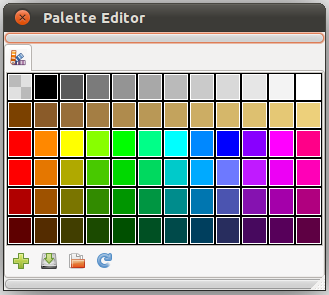 Reset the current palette colors, discarding any change you've done. This page was last modified on 20 May 2013, at 04:00.